Welcome to the Volunteer Opportunities page! We appreciate your time and talents...thank you for stopping by to help out. 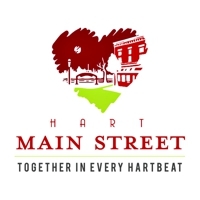 "The mission of the Hart Main Street Program is to work with both the public and private sectors to restore the vitality once common in the downtown district by enhancing our community identity and heritage, fostering a center of activity, and ensuring economic stability through concentrated efforts in organization, promotion, design and business development."